The best way to improve your chess is practicing! And the funnest way to practice is solving puzzles! You can browse our entire database move by move with performance statistics. It is the perfect way to study openings! Search for the games in our database that match a specific position. Check if your position was played before! Expanding your opening repertoire has never been easier or more fun. Now the Opening Explorer has the best companion: the Chess Openings Trainer. Play online chess games against a top chess engine computer. You can challenge Stockfish choosing different levels of strength. The most comprenhensive Encyclopaedia of Chess Openings (ECO) listing online. See how each Opening is played in our Database, get stats and improve your chess! Search chess endgames positions from our top chess games classified by the material on the board. Check the statistics of most played endgames and browse the games. Practice Endgames positions against the computer. You can challenge the computer playing thousands of Endgame Positions. Features - Consider becoming a supporter today! Searching in our Chess Games Database it's really easy! 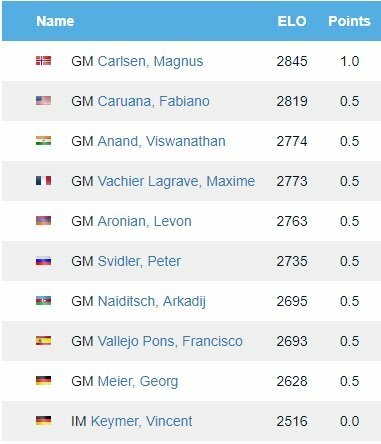 Select your search criteria like: player's name, ECO code or result, and you will get the resultant chess games in a second! Are you playing a position and wonder if it has been played before? The answer is at your fingertips! Use our Search Position tool and find it out in a second! Reproduce and analyze your games or the game you want. You can import your game in pgn notation or set up a position from a FEN. If you really want to improve your chess skills you should practice. And the funniest way of practicing is solving puzzles! Regular training sessions will boost your chess playing level. Our supporters will have the possibility to download games from our database as PGN. You can make your own chess games database and you can have the same tools we have developed for our own database. Analyzing your games with the Opening Explorer will boost your play learning how you perform on each line played! Do you want to know how does Carlsen play with white pieces? or wich moves does Anand choose against 1.e4? 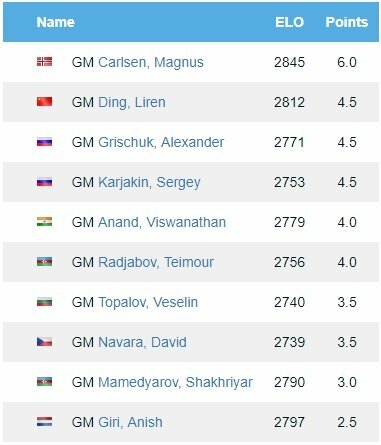 With the Player's Opening Explorer, now 365Chess.com has the answers to these questions! Now you'll be able to search and browse a database of games played by the Masters! In our Big Database you'll find more of 3.5 million interesting games played by all kind of players. But if you want only the games featuring world's best players, the Masters Database is for you. Start learning from the Masters right now! Supporters get unlimited access to the problems in the database. Train your tactical ability, exercise your calculating skills and candidate moves evaluation. As a supporter you will have the possibility to save your played games to analyze and download them. If you like 365Chess.com you may use these badges in your site.